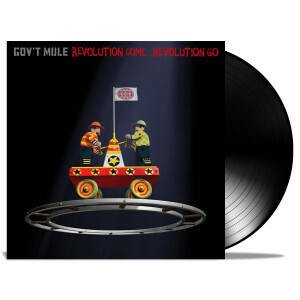 “Revolution Come… Revolution Go” on 180G double gatefold vinyl. Includes a download card of the Deluxe Record featuring 6 Bonus Tracks. Gov`t Mule Has the best website for all things MULE! Plus there an awesome group and Matt &amp; Warren are two outstanding musicians. I`d like to say as I was born in Manchester United Kingdom a very heartfelt prayers and thoughts to the families, friends and the people who are at this time trying to cope with the loses. I love this site and have been using it forever for all my Mule Tack! !